N.Æ. 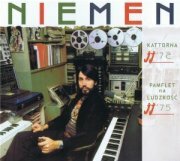 ('Niemen Aerolit') were essentially a fairly short-lived vehicle for Polish keyboard whizz Czesław "Niemen" Wydrzycki, before he went back to releasing albums under his own name. These LPs all display an accomplished jazz-rock/prog crossover, with little to display their Central European origins, apart from the Polish vocals. Whether or not you'll like them is largely dependent on how you feel about fusion; I'm pretty ambivalent, allowing myself to be swayed by the reasonable amounts of Mellotron on them. Aerolit's opening track, Cztery Ściany Świata, falls halfway between fusion and prog, with plenty of 'Tron strings to carry it along, with more of the same on Kamyk and Daj Mi Wstążkę Błękitną, although the latter slips into dodgy Rhodes-driven jazz in places. Smutny Ktoś I Biedny Nikt is probably actually the most adventurous piece, musically, with hints of avant-prog in its stop-start structure. 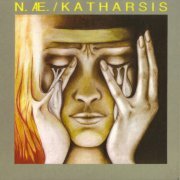 From what little I can make out from the titles, Katharsis looks like it's some sort of SF concept album, but that's really only a wild guess. It's more 'out there' than its predecessor, with more synth experimentation, which can't be a bad thing. No Mellotron until Planeta Ziemia, with some flutes in the intro, before shifting into an almost solo strings part, with some squiggly synth over the top, while Fatum is practically a Mellotron solo. Gorgeous. After a lengthy 'Tronless period, closer Epitafium/Pamięci Piotra finishes things off nicely with some more of those strings. 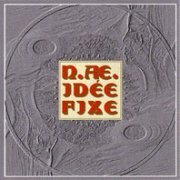 Idée Fixe has been released in several versions, including the original double album, possibly a triple-LP set with an album by a Niemen associate and two separate CDs. It carries on in a similar vein to its immediate predecessors, with a frustrating mixture of weird jazz-rock and tedious fusion. The drummer is obviously technically good, but mind-numbingly boring, ditto the guitarist, but every now and again the band pull a rabbit out of the hat and do something death-defying and completely unexpected. As you'd expect, the Mellotron tracks on Idée Fixe I tend to be the best, with some excellent discordant strings on CD-only opener Sieroctwo, flutes and strings on part two of Chłodna Ironia Przemijających Prejzaży, Egejski Błekit, cellos on Stracency/Z Wypraw Nie Tylko Krzyżowych and strings on the funky Laur Dojrzały. 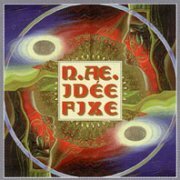 As, essentially, the continuation of ...I, Idée Fixe II is pretty much the same strange mixture, with, like ...I, an extra track kicking things off, plus a short EP, Sen Srebrny Salomei, added to the end. Several Mellotron tracks, with particularly clicky flutes on opener Larwa, flutes on Legenda Scytysjska, strings on Twarzą Do Słońca and flutes, with strings towards the end, on the lengthy part 2 of Credo, Burza I Kolory Tęczy. The Sen Srebrny Salomei EP seems to be mostly brief musical fragments, mostly under a minute, although Niemen fans will want it for completion's sake. Mellotronically, we get murky choirs to W Obozie Ukraińskim, a few seconds of strings on Zazdrość Semenki and flutes and strings on the longer Pieśń Wernyhory. I don't seem to have described N.Æ. 's music very well, but if you're into the further reaches of prog/jazz, go for it, both for music and Mellotron. Incidentally, there's a couple of Mellotron tracks each on Niemen's solo albums Mourner's Rhapsody from '74 and Postscriptum from '79. 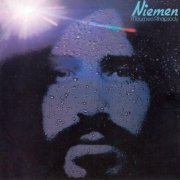 As a sad postscript, Niemen died of cancer in January 2004, a few weeks before his 65th birthday. By 1974, Czesław "Niemen" Wydrzycki (b. 1939) had already had a long and honourable career, beginning in Communist Poland in the early '60s before backing Marlene Dietrich, becoming Poland's first psychedelic artist (you can imagine how that went down with 'the authorities') and turning to progressive rock, amongst other highlights. 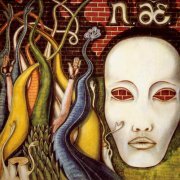 He formed and led several bands throughout the '70s, including fusion outfit N.Æ. (above), who may or may not be the same as Aerolit. Released the same year as the first N.Æ title, the English-language Mourner's Rhapsody, recorded with the Mahavishnu Orchestra's Rick Laird and Jan Hammer (on drums! ), is a strange blues/jazz/prog confection, containing a hodge-podge of material, not least its magnificent, male choir-led fourteen-minute title track, a rewrite of Bema Pamięci Żałobny Rapsod, from his 1970 album Enigmatic. The rest of the record is rather less startling, although opener Lilacs And Champagne features some interesting synth work, while Michał Urbaniak's jazzy violin work graces several tracks. Niemen adds Mellotron to two tracks (though sadly, not Mourner's Rhapsody itself), with strings and cellos all over I've Got No One Who Needs Me and Inside I'm Dying, although I wouldn't actually recommend the album on those grounds. Niemen's only other non-N.Æ Mellotron album is 1980's Postscriptum (Polish lyrics), combining fairly traditional-sounding balladry with odd, synth-heavy pieces; Elegia Śnieżna is a beautifully arranged, multi-monosynth workout, Żyć Przeciw Wojnie running it a close second. The album's most iconic track is probably opener Dziwny Jest Ten Świat '79 ('Strange is This World'), a reworking of his major psych-era hit, which probably pissed off Those In Charge just as much in 1980 as in 1967. 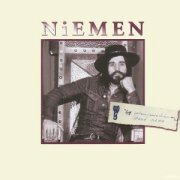 Not too much Mellotron, as on all Niemen's albums, with strings on Nim Przyjdzie Wiosna and nothing on either of the CD's bonus tracks, although the twelve-minute Wakacje 1939 is another great multitrack synth effort. 2007's 41 Potencjometrów Pana Jana ('41 Mr. Jan's Potentiometers) contains 41 minutes of a 1974 improvised Aerolit concert (originally edited in the late '70s), 'Mr. Jan' being engineer Janusz Kosiński. 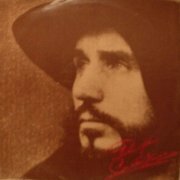 The recording bursts straight in, with a bootleg-style blunt edit that wouldn't pass muster on a regular, commercial recording, but when we're talking about the few surviving recordings of a late artist, you have to take what you can get. And what we get is an excellent document of a band (basically N.Æ.) at their peak, all concerned playing like demons, Jan Błędowski's violin work being particularly notable. 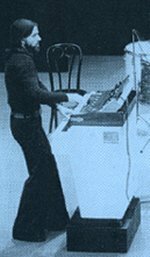 Given that Niemen himself was using such a (relatively) limited rig (Mellotron and MiniMoog), he acquits himself magnificently, without ever dominating the sound, allowing every band member to shine at various points. The Mellotron drifts in and out of the mix, with flute and string parts (you can hear him shift between sounds) from the off, angular strings and flutes a few minutes in, an almost-solo flute part around the seven minute mark, a strings/cello line (accomplished by lodging the selector between tracks) at around nine minutes, a flute melody rising up through the mix during the nineteenth minute and little bursts of flute seeping through elsewhere. Given how often recordings of this kind are complete damp squibs, this is an absolute marvel, well worth the effort. 2009's Kattorna/Pamflet Na Ludzkość documents two different early '70s gigs, the half-hour Kattorna dating from 1972 (pre-Mellotron), the rest from three years later. While less immediately impressive than 41 Potencjometrów Pana Jana, this set certainly has its moments, although it's far more obviously fusion than the aforementioned release. To be brutally honest, I'm not convinced by the vocal sections, but the instrumental work is superb, as you'd expect, an unlikely highlight coming in the form of the quiet section after the vocals during closer Oda Do Przyrody. Plenty of Niementron, with a polyphonic flute part, featuring some unusually speedy playing on Społeczny Blues Wszechcywilizacji, upfront flutes opening Chłodna Ironia Przemijających Pejzaży and again, further on, plus an eight-minute, full-on string part beginning in the sixteenth minute, shifting into clicky flutes towards the end of the piece, more flutes on Larwa and, finally, mournful flute and string parts on Oda Do Przyrody. Neither of the original albums is really worth it on the Mellotron front, although, like the N.Æ albums, both have their moments. The two recent archive releases are, of course, another matter, probably worth it for the music and definitely for the Mellotron. Of course, a Niemen compilation covering all the genuinely best bits (y'know, Mourner's Rhapsody and all the 'Tron tracks) is never going to happen, but if you get a chance to hear these, I'm sure you can compile your own.